Smooth hydrangeas, sometimes known as wild hydrangeas, are beautiful looking shrubs with giant white blooms. The shrubs are native to the southeastern United States, and are deciduous like all other hydrangeas (meaning they lose leaves in the winter). These shrubs are winter hardy to grow in USDA growing zones 3 to 9. 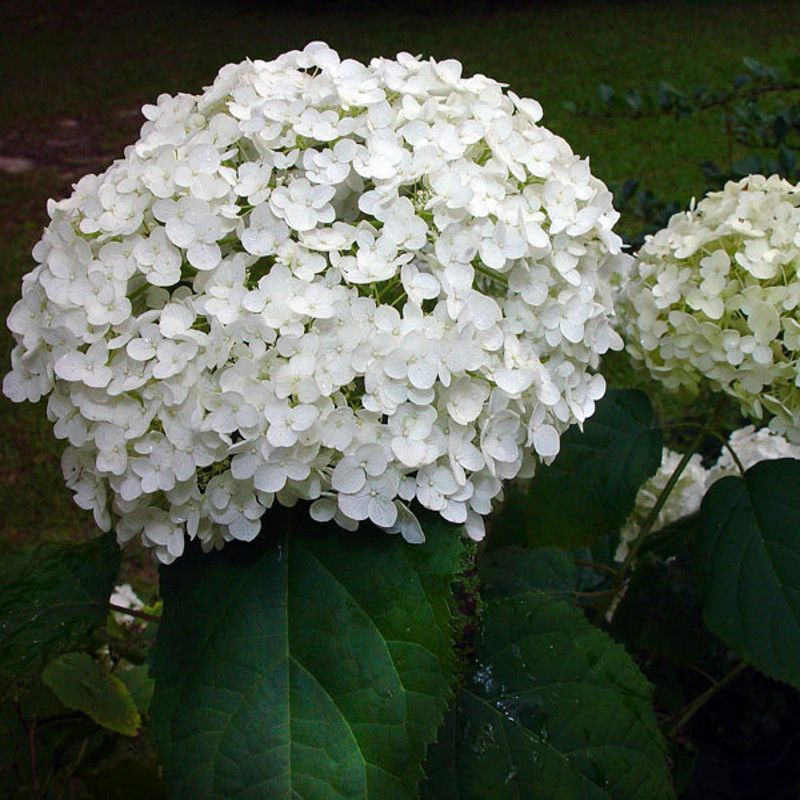 This type of hydrangea is really known for its large creamy white flowers. When the shrub first blooms, it is a light green color. As the flower matures, it turns to a creamy/bright white. Some of the newer varieties (like Invincibelle Spirit) product pink blooms. Eventually these flowers turn brown as it wilts. 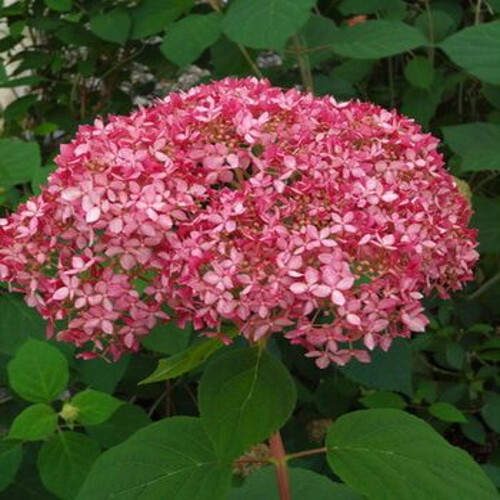 You cannot change the color of these flowers, like you can with mophead (macrophylla) hydrangeas. The leaves are typically heart shaped and darker green. 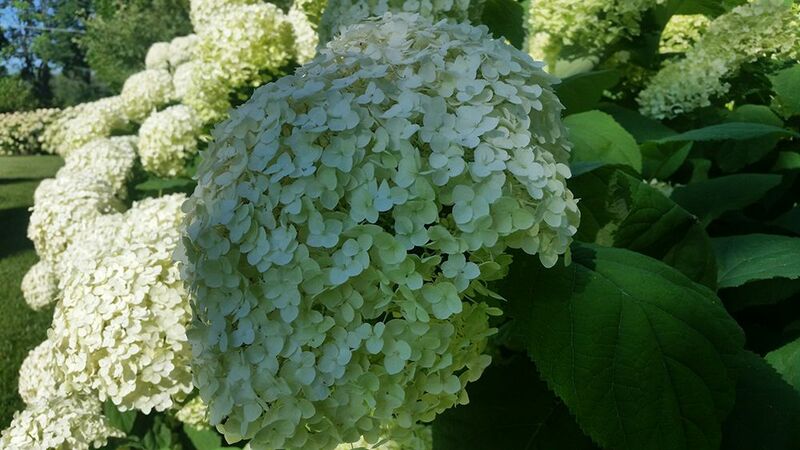 Most hydrangea arborescens like slightly acidic soil that is nutrient rich. Make sure to plant these in an area that is well drained to prevent root rot. However, the soil does need to be moist. This type of hydrangea does not do well in extended periods without rain. So be sure to water frequently, especially mid-summer. These shrubs can handle full sun depending on the variety. However, most varieties prefer to have some relief from the sun mid to late afternoon. If the shrub is in full-sun, be sure to carefully watch the leaves for droopiness, which typically means it needs more water. According to the Missouri Botanical Garden website, these plants have no serious insect or disease problems. Many species of hydrangea, including this one, are susceptible to bud blight, bacterial wilt, leaf spots, mold, rust and powdery mildew. Watch for aphids, mites, scale and nematodes. These shrubs bloom on new wood. So it is best to prune back close to the ground in late winter. If you do not prune then, you can also prune in early spring to encourage new growth. You should remove sick and dead branches that are damaged in the winter regardless. If you do prune back to the ground in the winter, it goes a long way to help promote stem vigor. 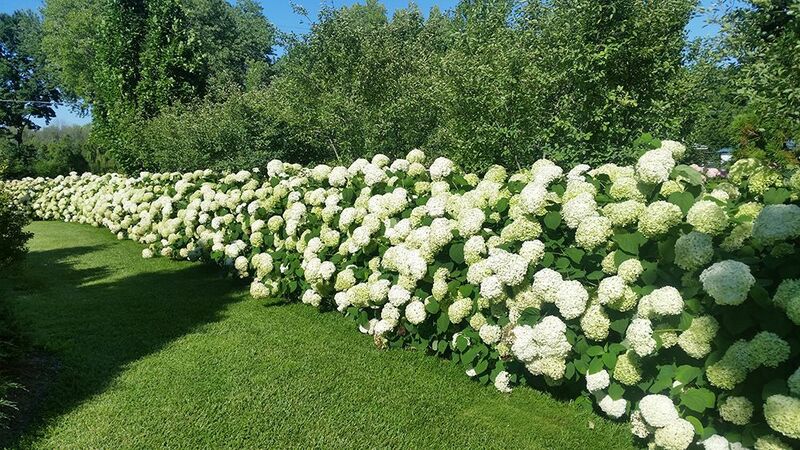 Check our our hydrangea pruning guide for more information.